What is a bare metal machine ? What is bare metal hardware ? The term bare metal machine is used to refer to a machine on which there is nothing reliable but the hardware. The goal of a bare metal install is to take any piece of hardware and install a operating system on it so that it becomes fit for its business purposes. 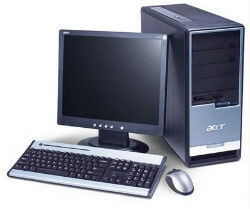 Although some of these tasks (like repurposing or OS migration) could also be performed leveraging on a previously installed operating system, the bare metal approach is more reliable and leads to more homogeneous configurations: New machines and old machines should ideally always be installed using the exact same method. AutomationA good bare metal install process should require no manual intervention and run unattended from end to end. Less evoluted processes may require some manual intervention at the beginning or at end of the installation (to power on a machine, insert a boot CD, or to finalize some tasks for install). IntegrationThe installation process should produce fully configured individual systems, completely integrated into the IT infrastructure. Less evoluted processes may require extra work by system engineers to customize every machine for a specific task. Adaptability The installation process should automatically adapt to hardware variation and work regardless of the hardware model or vendor. Many tools are limited on that aspect. Compatibility The installation process should offer maximal compatibility with the Operating System by leveraging vendor native installation methods or integrating with the OS vendor recommended installation tools. Some bare-metal installation tools use methods discouraged by OS vendors. Scalability The same installation process should be usable for large-scale provisioning as well as for individual installations. This requires in particular the support of a multicast network protocol. Speed The installation process should run as quickly as possible, leveraging on techniques such as cloning when possible. The goal of bare metal recovery is to return a system to previous working state after a major failure that requires the reinstallation of the operating system, using a backup. This may have to be done either on the same hardware or on a replacement hardware. Automation A good bare metal restore process should require no manual intervention and run unattended from end to end. Less evoluted processes may require a separate reinstallation of the operating system, followed by a manual operation to trigger the restoration of backup data. Reintegration Ideally the recovery process should ensure that the restored machine is again completely integrated into the IT infrastructure. Most recovery processes require extra work by system engineers to rejoin the system to its existing environment. Adaptability The recovery process should automatically adapt to hardware variation in case the new machine is not of the exact same model or vendor. Many tools are limited on that aspect. Precision The recovery process should produce a system that behaves exactly as the original system. In particular, performance of the recovered system should not be reduced, and all applications should continue to work. This may require a precise restoration of internal filesystem structures for instance. Scalability The same recovery process should be usable for large-scale disaster recovery as well as for individual recovery. This requires in particular the support of a multicast network protocol. Speed The recovery process should run as quickly as possible.